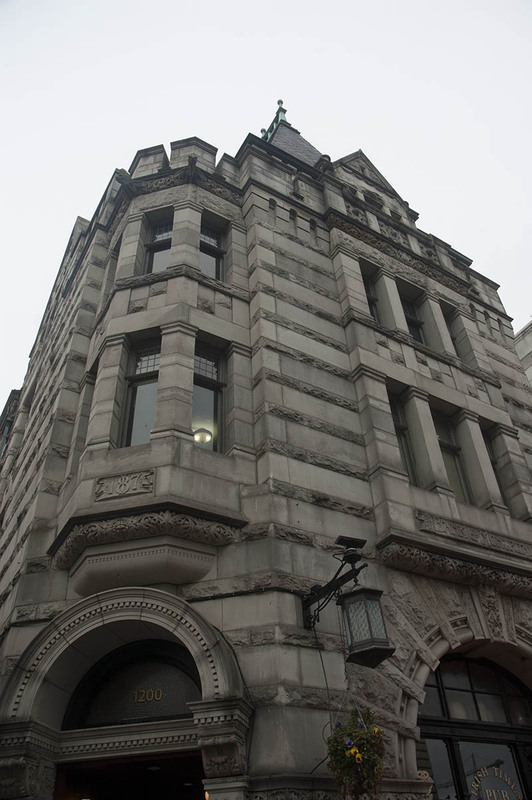 Constructed as a branch of the Bank of Montreal, built in 1894 by Sir Francis Rattenbury. It was Rattenbury’s first design in the chateau style stone work that he was to use 10 years later on his development of the iconic Empress Hotel. Now an Irish pub.